It has been a tough week for family and friends in Ventura County. I spent some time checking in with everyone to be sure they were okay. It was a strong reminder that 1) I need to check in more often, and 2) I need to make some effort to get some face tie with them all. 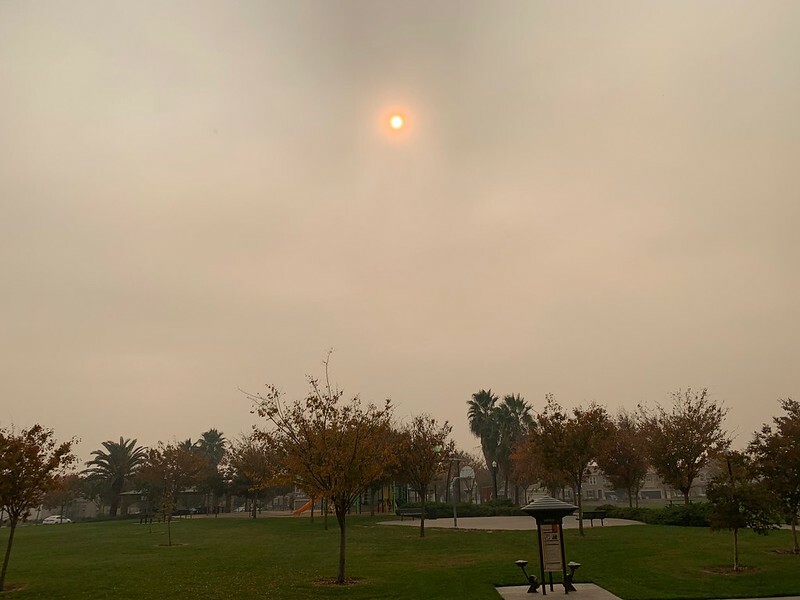 The Camp Fire, here in Northern California, is really deadly. It has covered our who city in smoke (pic above) for the past few days. It ruined some weekend plans as well, as we couldn’t be outside for too long without starting to cough, feel weak, and just overall couldn’t handle the smell. Slowly but surely (don’t call me Shirley) we’re getting more settled into this house. I think the next step is to hang more things on the walls. That seems to go far in making us feel home. I have a full plate so, paying for (and using) grocery delivery service is worth it for me. Paying a small delivery fee over spending time do go to and shop for groceries, something I don’t like doing, takes a chore off of my list. I still need to work on reducing distractions, especially during the week. My mind still feels cluttered, and I still feel like I’m trying to do too much without taking breaks.